When you need help with your septic system, call us. 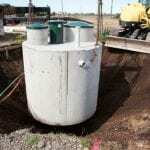 Septic systems are what we’re all about here at Clark Septic! Whether you need someone to install a new drain field, install a new tank, service your lift station, or simply pump out your tank, we’re the ones for the job. When it comes to septic systems, we have a comprehensive understanding of how they work, the conditions in which they operate best, and what you need to do to keep them in good shape. We have been servicing septic systems in the Orlando, Florida area since 2002. Thanks to this experience, you can rest easy whenever you call knowing you’re receiving expert advice from an experienced source. 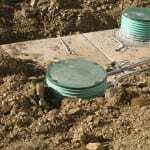 For this reason, you can also reach out to us whenever you need advice on the operation of your septic tank, drain field, or any other septic system component. On top of our experience, we’re at your service 24/7. We understand that septic emergencies never happen when it’s convenient, so you can turn to us whenever you need help diagnosing a problem or taking care of an issue. No matter when you call, whether it’s the middle of the day or the middle of the night, expect excellent service and outstanding attention to your needs. We offer competitive pricing, excellent workmanship, and superior service to our customers. To find out more about our septic services and everything we offer, get in touch with us at Clark Septic today. At Clark Septic, we offer high-quality services for septic systems in Orlando, Altamonte Springs, Kissimmee, Ocoee, Pine Hills, Winter Park, and Winter Springs, Florida.